Yes indeed cheating is very much possible here: There are aimbots that will automatically aim your guns and skills, shoot them and get you kills automatically. 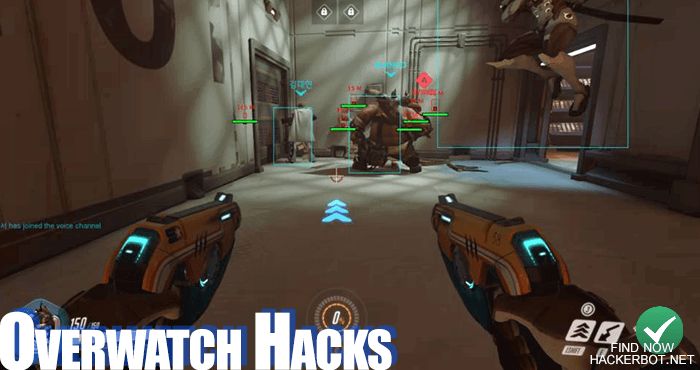 There are also “wallhacks” that allow you to see both enemies and allies through objects and there are some other minor client-side hack that may include minor speedhacks, walking through walls, no spread and no recoil. However, there are no god modes, cooldown hacks, money hacks or level hacks of any kind. While cheating on PlayStation 4 and Xbox One are possible, the best platform to do it as always is PC. 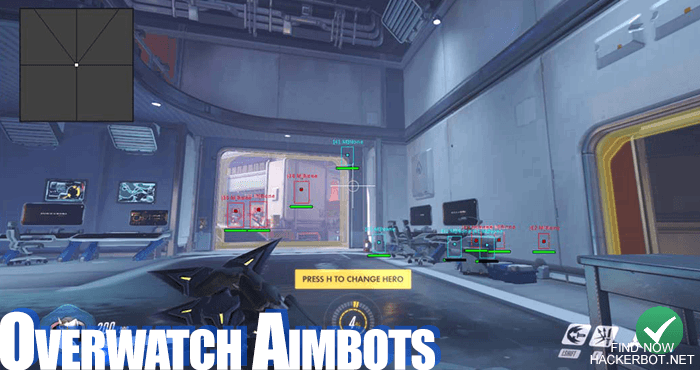 Aimbot software is the most common and most effective kind of cheat in any online shooter and that includes Overwatch, being a competitive team shooter as well. Your average aimbot is able to lock on to targets at the press or holding down of a button or key and will be configurable to automatically shoot targets. Advanced aimbots will take into account the movement of targets to try and lead the target and some will even be able to account for bullet travel time and bullet drop of certain heroes like Phara with her rocket laucher, Torbjorn ect. An aimbot can allow you to deal a lot more damage than usual, but there are downsides to the use of any auto aiming program in Overwatch as well. Kill cams are veery central to Overwatch, since they are what you watch after someone kills you, which makes it incredibly easy to spot aimbots and a lot of cheaters that will get their hands on software like that will get banned pretty much immediately if they are not hiding their cheats adequately. 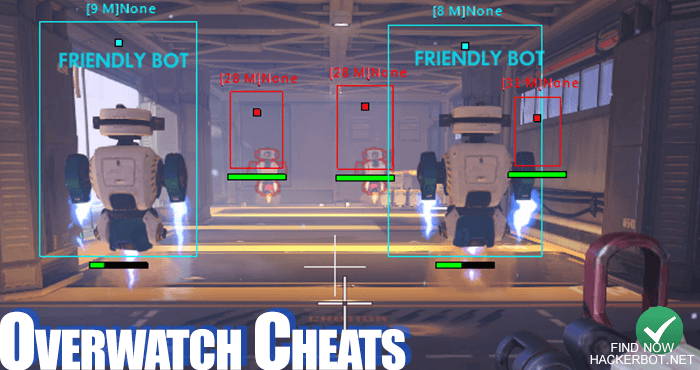 Another powerful cheat: Just like the aimbot, the Wallhack will scan the map that is loaded onto your machine (PlayStation 4, Xbox One, Windows PC) in order to display the game to you and find objects like enemy players, Junkrat mines, traps, projectiles, teleporters and so on to diplay them to you on your screen. Wallhacks will let you see any character on the map through any kind of wall or obstacle and will also show you additional information like the distance, their health and so on. Overall this kind of cheat is very similar in power to the auto aiming bot, since it is very hard to detect for other players watching your killcam. What it does not offer in DPS, it offers in awareness, ability to flank and so on. Heroes best suited for Wallahcks: All of them. How hard / easy is it to find Overwatch cheating software? Blizzard is very good when it comes to getting rid of cheaters in all their games and therefore it is very hard to come by legitimate and working cheats that stay undetected for long. A lot of hack and bot developers have stopped even trying to develop cheats for their games, since it is usually not worth the trouble for them. Scripts and bots are easier to find than actual code injection hacks however. That being said there are still some hacks that crop up here and there and there are some very private groups that are limited to a certain number of people that have some more advanced hacks. However, joining these groups is not only expensive, but requires you to know the right people and be trusted, since one leak or one player that abuses the cheat can get the whole group banned. Overall get ready for some real difficulty when it comes to being able to cheat consistently in Overwatch. Scripts are your best option, if you do not want to jump through a whole bunch of hoops and put your account at risk. Scripts are simple little bots that can for example trigger abilities on their own without any user input. They are undetectable, since all they do is read your game memory and then trigger user inputs based on that. 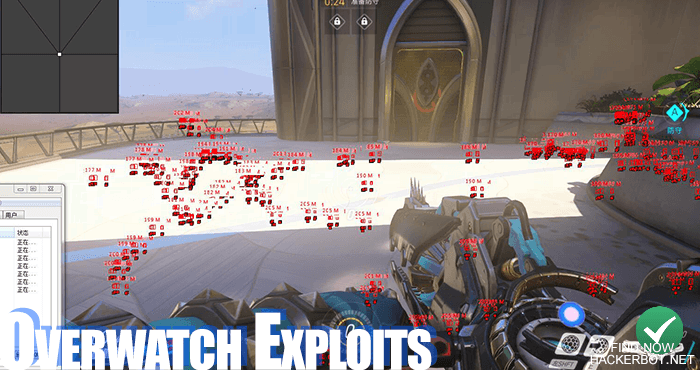 Examples for simple scrips are Tracers Recall ability that can be triggered automatically when she reaches below a certain health, or Solder 76s Heal that can do the same at a certain percentage of health, or Gejis Reflec that can be triggered on taking damage to avoid death, or Anas flash heal, or roadhogs heal, or Zenyatas ultimate, or Zaryas shield, or Mercy’s ult can be triggered automatically using bots when a certain amount of people have died around you, or Mei’s Cryo-Freeze can save you from death automatically, Reapers ghost can be triggered on low health ect. Most scripts are based on giving you a kind of semi-god mode of sorts by saving you from death. There are also other more advanced kinds of scripts to place ice walls, use shields to block damage ect, but they are harder to code and find. Tracer: Scripts are used to automatically trigger her Recall / Blink to avoid damage as an avoid death button if health gets too low. McCree: Overwatch Aimbot is incredibly powerful on this one. Hitscan, incredible heatshot damage, good DPS, but no avoid death scripts. Mei: Another auto-avoid death at %health script with her Cryo-Freeze. However, scripting that one can screw you over as well, since you usually want to combine your freeze with your ice wall. Mercy: Her ult (Resurrect) can be auto triggered using macros if 3 or more people can be revived, taking human reaction time out of the game. Aiming is obviously less important on her. Roadhog: This one requires advanced aimbot apps, since his hook has travel time and therefore aim tracking has to be enabled to increase the hit rate for hook. Once a target is hooked it is simple to script an auto headshot and melee attack to finish off the target. Scriptable and very OP. Ana: Her stun(sleep dart) is very important and can be made very OP using aimbots, same goes for her Biotic Rifle both for healing and DPS. She is the best healer for Overwatch hackers. Bastion: Turret Form + Aimbot + Reinhart + Mercy.. enough said. Zarya and Reaper: Bot can avoid death and damage with their respective Particle Barrier and Wraith Form, they can both benefit from auto aim as well, but it’s not too OP. Zenyatta, Lucio, Genji: All these have projectiles with travel time, which are hard to hit using aimbots, but if aim-tracking software is included it is possible. They also have an auto-activatable avoid death/god mode button in Transcendence / Deflect / Sound Barrier. Phara: Again needs aim-tracking software to hit the rockets even remotely, since they have atrocious projectile speed. Very hard to script. Widowmaker: Her ult is kind of useless if you have wallhacks activated, but her sniper rifle is still very auto-aiming friendly, if very obvious if you are using aiming software without aim-smoothing. Soldier 76: Always ultimate? Sounds overpowered, right. Auto activate heal (Biotic Field) and auto fire Helix Rockets? Hacks are very powerful on Soldier overall. Doomfist, Reinhardt, Tornbjorn, Junkrat, Sombra, Orisa, Symetra, D.Va, Windston: Nothing special here. They are all useable, but not ideal for the use of any hacks, auto aim or scripts.